Today I ran into the pitfall of Alfresco scripts and permissions again. For all kind of reasons I cannot rewrite code, but run into trouble because a user having a particular role executes a script that modifies permissions. This of course fails if this user has less permissions on a given space or document than expected. The user/group will have more permissions (that make no sense) than needed, and only a little tiny change in the security settings can screw-up the transaction the script is part of. The best approach is of course to get rid of the script approach at all (related to permissions), and implement a decent class running as System. But I cannot. I remember having seen the sudoUtils in the past, and the improved version after that, created by Fabio Strozzi. This is nice, but not exactly matching my use case/requirements. I have no clue who executes this function. An unknown, in time growing set of groups can execute, but only if it is defined in a particular script. The script limits the access, not the user or group. It would make sense to allow execution of a particular named script (or better, a set of predefined scripts). My idea is that I can define a set of scripts that can be executed as System user. However, to make sure we meet security, these named scripts (in alfresco-global.properties) need to be loaded from classpath, not from repository. Well, we do need to secure this feature. If everyone can execute any script as root, we create a security hole. 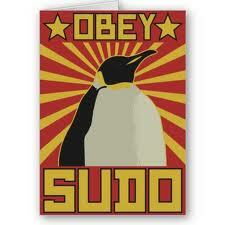 Fabio Strozzi reduced access to executing functions by requiring users to be member of the group SUDOERS (in parallel of Debian Linux). I have no clue to what groups the functionality will be extended, I know only a very limited number of known scripts need to be run as admin or system user. Allow EVERYONE to add content to ‘inbox’ (I go for Coordinator), remove permission inheritance from ‘storage’ so no one has access to it. So, if user mr-nobody adds a document to the space ‘inbox’, the script from classpath is executed and moves the document into the space the user has no access to. Notice that the original user does is recorded with his name in the modifier property. good approach, I like it. I was wondering whether another solution would be possible. What do you think about writing a custom action (say “Execute a script as Administrator”) that inherits the default behaviour of “Execute a script” action except for the checks on the script classpath and for the script execution (which is done with the system user privileges as in your code)? I’m not saying this is feasable, but I would try to implement it. This way you won’t have to write an intermediate script that calls sudo. Initially i tried to subclass the RhinoScriptProcessor, but that doesn’t work out nice, most methods and constants are private. As a ‘second best’ I try to copy the class definition and modify/add the methods I need. Run into a ValueConverter issue right now. Also some work to do to actually recognize scripts defined in the bean definition (xml), to decide to run as System or as used (as-is). i speak french excuse me for error. As you can determine from the the creation date of the blog post, it is more than an year old. So Alfresco 4.0 was not released at that date. I hope you can imagine I do not have the spare time to keep all my blog postings updated for the most current release. It could well be that the 3.3 [my guess] code is not compatible with the 3.4 and 4.0 code lines. It is my intention to show the mechanism, you can take it from there. I am afraid I cannot help you with a full course Alfresco customization, nor can I provide precompiled packages for an Alfresco version of choice. Apologies for that, my life, and Alfresco challenges move on too. We solved the same problem very quickly.